Slope of U.S. Treasury Securities Yield Curve. Note: Here, the treasury yield curve is defined as the yield versus the square root of the term, not simply the yield versus term (in years). Taking the square root of the term linearizes the curve and, historically, puts the slope between -1 and +1. 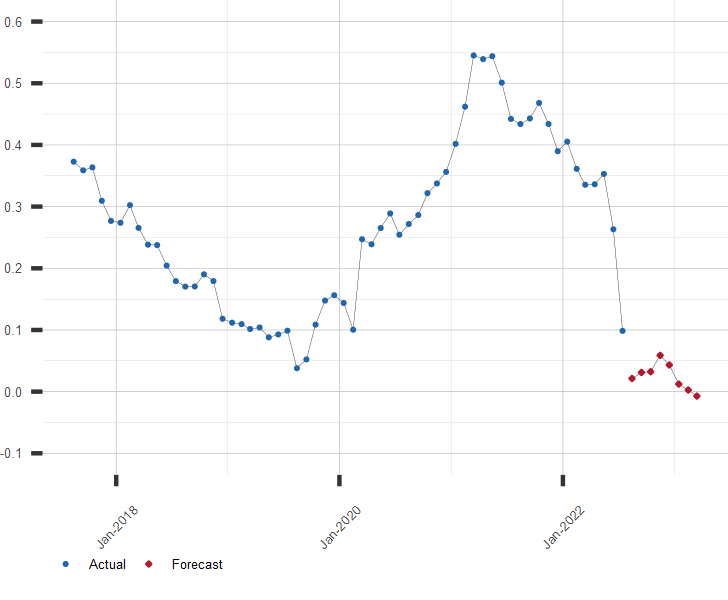 A long range forecast for Treasury Yield Curve Slope and similar economic series is available by subscription. Click here for more information or to subscribe now!